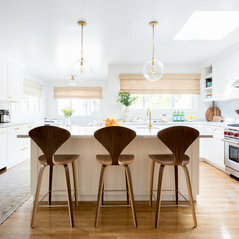 Jennifer Muirhead established her Los Angeles-based eponymous design firm in 2012 after learning the fundamentals at UCLA’s Architecture and Interior Design program. She specializes in “casually luxe," "collected” residential interiors across Southern California and as far as New York City. 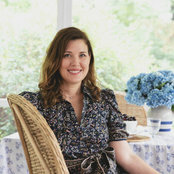 Informed by her bi-coastal upbringing and extreme Francophilia, Jennifer strives to create eclectic spaces that reflect her clients’ personalities and lifestyles with an editor’s eye. In her former life, Jennifer was an editor at InStyle magazine and spent several years in television production. A graduate of Boston University, Jennifer now resides in the Hancock Park neighborhood of Los Angeles with her family. Typical Job Costs:$10,000 - 150,000Cost totals indicates total renovation, including but not limited to materials, labor costs and design services. 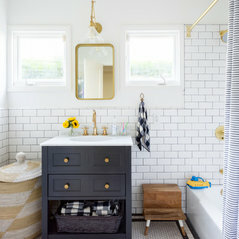 Commented: I love this bathroom! 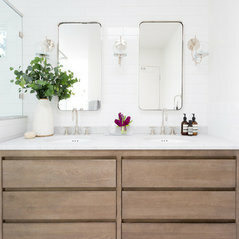 Can you tell me the color of the vanity? Thx.Vanity is prefab! Commented: Love this wallpaper! 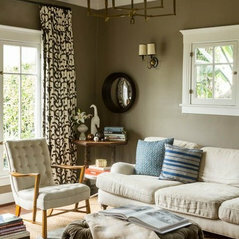 Does anyone know where I can get it?It's from Farrow and Ball. Commented: Love this colorHi! Thanks for the compliment--it's Dunn Edwards Bison Beige!